Having graduated with an Honours degree in Fine Art from the National Art School in 2007, the poetic power of this emerging artist’s work has already marked her above her peers. 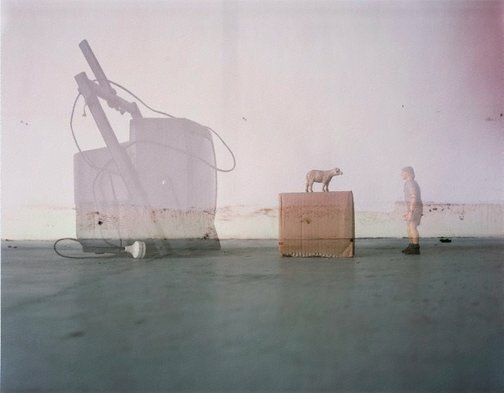 Justine Varga has held two solo exhibitions, ‘Placements/On the outside’ in 2008 at Cross Art, Sydney, and ‘Lightforms and an empty studio’ in 2009 at her home in Double Bay. Created in 2007-8, ‘On the outside’ continues the themes first developed by Varga in her 2005 ‘Placement’ photographs, dealing broadly with interventions in space and the (re)creation of landscapes within mundane interior spaces. While Varga’s photographs frequently take flight into the abstract, many of her images remain anchored to a harder reality. In these the gritty concrete studio floor and rough edges where wall meets floor are presented as central to the image with the humdrum quotient amplified by the addition of banal elements. ‘On the outside#5’ blends this stark simplicity with the ethereal beauty of the artist’s abstract images. It is a delicately layered image created by use of multiple exposures. ‘On the outside#5’ is a playful critique of the mythologising of the Australian landscape and identity. Varga presents what are considered as Australia’s greatest exports – television personality Steve Irwin and the sheep (on whose back the nation has ridden) alongside a video monitor. The monitor insinuates the role of media as well as how national identity is presented to and perceived by the world. Signed and dated l.r. verso, pencil "Justine Varga ... /... 2007...". 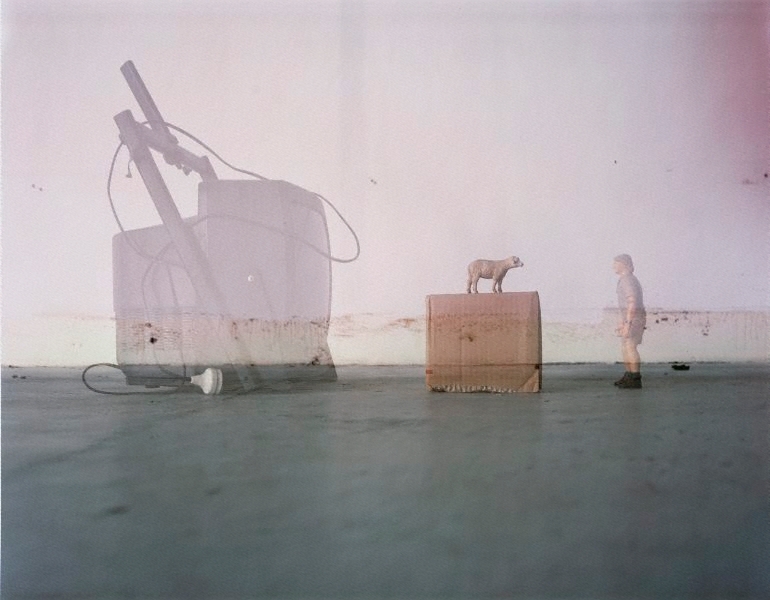 Justine Varga photographic works , 2008, (illus.). Honours Show 2007 , 2007, (illus. ).